Staying organized at a younger age probably didn't seem important before but in 7th grade organization is the biggest key to success, especially in your locker, binders, and backpacks. Here are three extremely important tips. Getting a locker in middle school in 7th grade is exciting yet stressful. In 5th and 6th you can go to your locker in between every class, not anymore. In 7th grade you have "locker time" and in order to get the right materials for each class your locker has to be organized. 1. -Create a place for all your materials. Have different sections in your locker for different materials. 2. Get magnets to hold materials. You can use magnets to organize reminders, schedules, and important events. 3. Keep a schedule in your locker. If you keep a schedule in your locker, you won't have to worry about what class your'e going to. 4. Use methods of shelving . If you use shelving, your materials and binders won't be cluttered. 6. Check for trash everyday to keep your locker clean. If you look for trash everyday, it will eventually become a habit and you won't have to clean your locker very often. 1. Make a list of what you need to bring home from school and tape it to a folder. n.d. Web. 5 June 2014. Helpone. N.p., n.d. Web. 1 June 2014. "Messy Backpack ? Help your child get organized." ncld. N.p., n.d. Web. 10 June 2014. 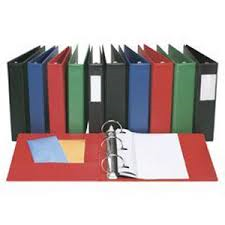 Binders, b﻿inders, binders you use them every day binders, binders, binders they keep you organized yay! -Have small pouches for small supplies such as pens, pencils, highlighters, etc.